Capturing the magnetism, charisma and beauty of the true diva, Bvlgari constantly pays homage to a house specialty, the Diva’s Dream jewels, with ever-evolving, sensual and creative renditions. Inspired by mosaics of ancient Rome and a testament of Bvlgari’s heritage, the sinuous fan shape of the jewels is reimagined as an exclusive clasp, adding a distinctive element to the Diva’s Dream shoulder bag, this is a piece every confident, inspiring and glamorous women would want to carry around. Practical and elegant, the new shoulder bag is as trendy as it is timeless. Buckled with the signature fan-shaped, foldable clasp in tonal enamel matching the color of the bag, it is the ultimate everyday bag. 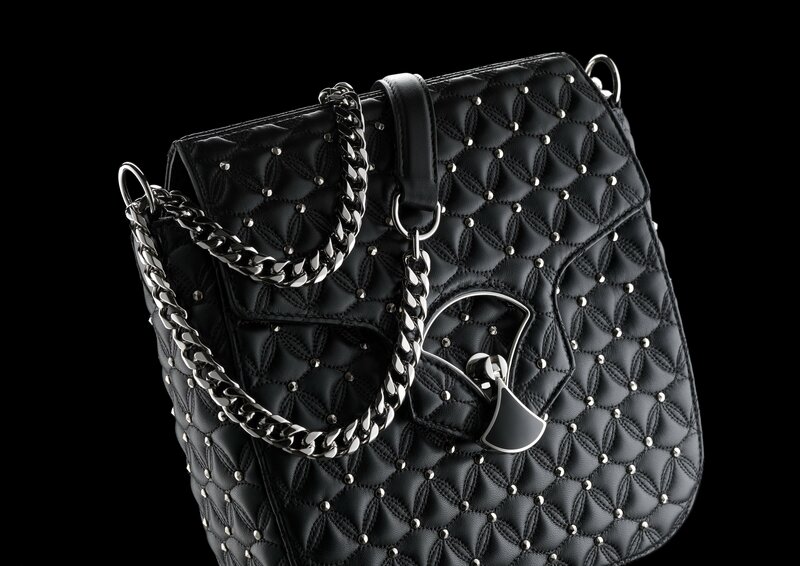 The structured Quilted Diva, with its three layers of prized nappa leather dotted with multi-faceted metal studs, makes a bolder statement for women boasting an ultra-modern and urban attitude. Whether in black, linen agate and jazzy tourmaline, the bag complements any outfit, casual to chic, morning to evening. The other line in the collection, the Mottled Python Diva, is lush and exotic, with each bag treated differently and hand-polished using an agate stone to exalt the natural livery of the skins and its unique chiaroscuro effects. The campaign for the Diva’s Dream, as well as for the new Serpenti bag collection (presented in this article’s cover image), features the brand’s ambassador for accessories, Bella Hadid, in an interesting mix of effortless joie de vivre, bravado and polished elegance.